Big epic wars are inevitable. No matter if you're from this galaxy or a mysterious galaxy us humans can only imagine where alien wars are the everyday norm. We don't like those kinds of things, though. Not if they're real. No, we like playing video games and watching movies, and sometimes trying weird foods. Our battles are a little simpler, you see. The kind of war we like is either digital, or something known as LARPing. That's live action role-playing if you didn't know. It's harmless war, and lots of fun. We also love LARPing because you get lots of great exercise (of body AND mind), you get to hang out with your best friends, and you get that elusive elixer our grandma's told us about... "fresh air." If you're going to head out and become the legendary LARP warrior you were obviously destined to be, you're going to need the right gear. Take this forked sword. Forked swords? All the rage. No, seriously. 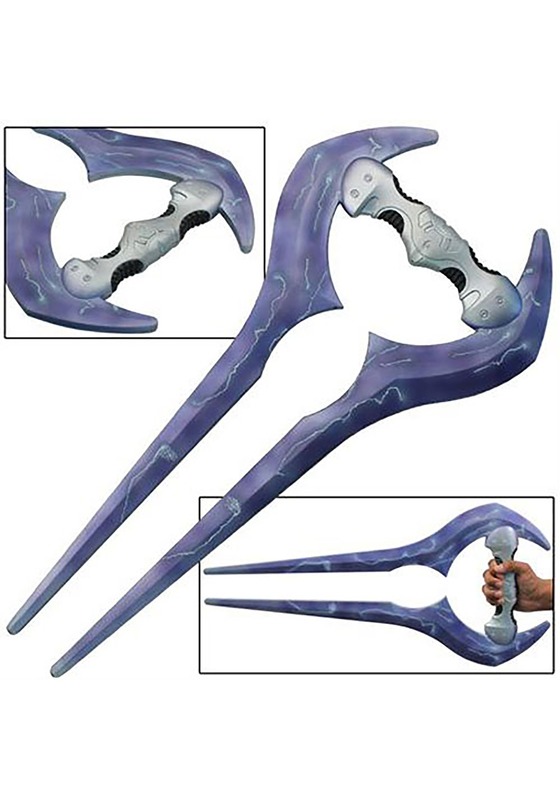 Aliens love these swords because they have this energy pulse thing that cuts through just about anything. It's pretty handy. Of course, this version is made of foam. It doesn't cut through anything. That's why we like it. It's a make-believe space war where nobody gets hurt! Rush the enemy on the field or just annoy your sister. You get to choose how you use it, as long as it's good clean fun. And good clean fun is easy with far-out space fork swords made of foam like this one.